I’ve been watching (studying) the amazing and generous barista Dritan Alsela and his equally helpful assistant Mariette (?) via their videos (originally FBLive Events) to learn how to latté art. It’s been fun (aka hilarious) posting my efforts on instagram to celebrate my failures but also track my learning progress over time. It’s turned into a bit of a game with my friends helping #guessmylattéart (that’s where the hilarious part comes in). As I reflect on my learning so far, I wanted to share the advantages of learning in this way for me. Thanks to today’s technology access, this way of learning is becoming more and more popular and we’re finding that kids are spending a lot of their own time learning to do something they’re interested in and enjoying the sense of accomplishment when done. As an educator, I love the idea of harnessing this in our classrooms through exploring Genius Hour, a take on Google’s 20% time or even just an afternoon (every 10 or so days) of elective learning! Perfect to fit into my day when I can. Life gets incredibly busy but more and more I believe it’s important to dedicate time to one’s own learning whenever or however we can. I chose to spend time learning lattéart because I wanted to learn it. I had an interest and thanks to YouTube, I was able to find some very good tutorials that helped keep me interested and motivated to learn more. Pause, play, repeat – the best features of video. I can do this as much as I need to. Learning needs to be customisable. What works for you might not work for me. What takes me a short amount of time, might take you longer. Video makes learning customisable in so many different ways – we need to harness this more in the classroom. I can see what to do. I can hear the instructions. Excellent combination plus I can also see, hear and DO at the same time. I’m much more likely to enjoy success with all three. Rather than try to watch a barista at work down at my local coffee shop (and annoy them while they are busy) – I have access to a super-friendly and generous expert who is taking the time to share their skills with me. For accountability, motivation, and encouragement, I use my social media channels (instagram and facebook) to share my progress with friends. This makes me smile and reminds me just how creative and imaginative my friends are! It also motivates me to try harder and reminds me it’s ok, and part of the learning process, to fail. By sharing I show that I’m still learning and that I’m not afraid to try something new. So what are you learning to do? I’d love to hear/see what it is – please share in the comment section! Perfect temp: 60-65° for the milk (Don’t need to swirl the milk pitcher to warm it) The milk must be right otherwise you can’t lattéart. Don’t want too much too fast – start with and master the heart! Then progress to the rosetta, then try the tulip. As I focus on documenting for learning I’m thinking about how I prepare for learning. In particular, preparation for professional development sessions with educators. I’m looking forward to working with MS and HS teachers in Malaysia for two days next week on blogging in the classroom. Preparation and planning began over 3 months ago and the hours involved have steadily increased as the session dates draw near. The 3 questions – Why? How? and What? have been a three-pronged approach to planning these two days so I thought I’d share my learning process with you. Blogging is something that I’ve always been passionate about. Using technology to enhance learning took a hold of me and “lit my fire” so I began to blog. It was always important to me to share my passion of the authentic use of technology in the classroom with others. Fast-forward to today. As I head down the Independent Consultant road it’s important for me to not only talk the talk, but walk the walk. Hence the reason for this particular post. It’s my documenting and reflecting on the learning process. In order to understand the purpose behind the professional development being requested, a meeting with the stakeholder is important. First emails establish a connection. Skype allows us to connect and talk about expectations and needs surrounding the two days of PD. This is a fact-finding mission to gather as much information as possible. I need to discover where a school and it’s staff is and where they want to go. Together we decided how they want to move forward. It is always inspiring to be a part of a school that wants to move forward. Not quite sure how to move forward doesn’t deter them and they are willing to bring a stranger in help them achieve their goals. To help with the planning stage I like to use Google Docs. It’s a brilliant way to keep track of conversations, planning, resources, ideas, schedules, observations in order to bring everything together. A document was shared with the school stakeholders and became the eventual planning document for how the two professional development days would pan out. All stakeholders had editing rights. I’m very fortunate to have made some life-long friendships with very clever and knowledgable people. There are people in my personal learning network that I would have never connected with if it weren’t for being a blogger. I didn’t get to meet these people in person until a long time after connecting with them online. Now, I have been fortunate to have met (and worked with some) my “expert” friends. For this particular PD planning, I turned to them for advice, thoughts, ideas and opinions. I think I was really seeking confirmation that my thinking and planning was on the right track. More specifically that the planning made sense and that it flowed. 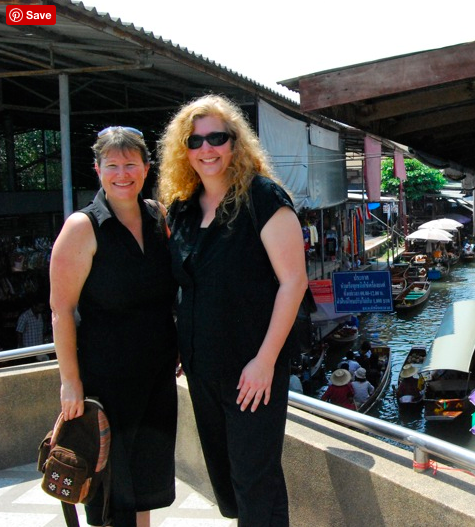 Silvia & I at the Floating Market during her 2009 visit to Bangkok. Through skype I had a lovely conversation (and much needed catch up) with my dear friend Silvia Rosenthal Tolisano. Silvia is a walking plethora of blogging expertise (you must check out her resources that she shares via creative commons with educators all over the world). It was reassuring to share my ideas and thoughts with Silvia and hear her reassurance that my thinking was on-track. A bonus was that I was able to garner some more ideas for working with teachers on a topic that is so vast! Again, thanks to skype and a spare “hour” in his very busy schedule, was a chat with Andrew Churches. I sought out Andrew’s expertise on working with large groups of people, his experience with IB and his amazing work with Bloom’s Taxonomy. Andrew suggested some brilliant ways to help facilitate the learning beyond “keynote / lecture”. 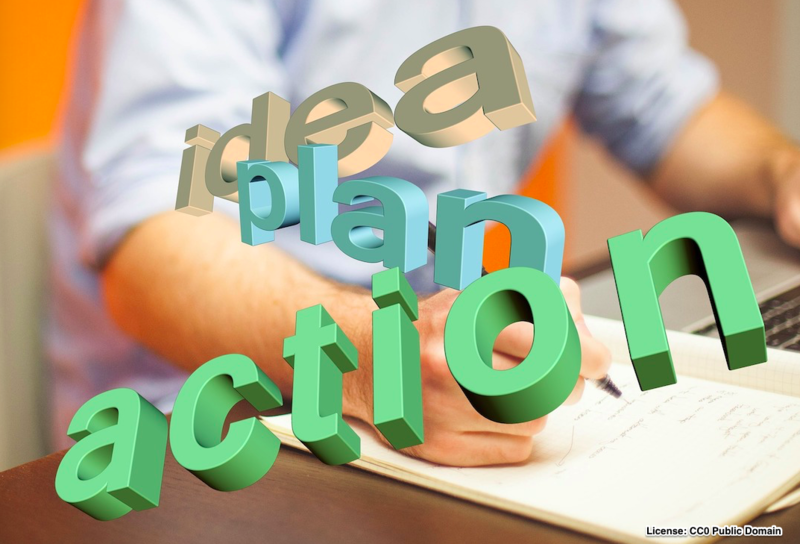 The use of a google document meant that I was able to share my planning ideas with other consultant experts. In particular, two very good colleagues (and brilliant friends) Kim Cofino & Dana Watts. These two amazing ladies have a wealth of experience working with educators in a consultancy context so their feedback on the planning of sessions was invaluable. In documenting the process that I’m going through to prepare for this PD, I realise that I know some incredibly talented and generous educators. I am extremely grateful that I have these kinds of people in my own personal learning network. In reflection I am struck by the notion that when you’re globally connected with others you have the ability to pass on authentic learning to fellow educators and it multiplies exponentially. Stay tuned for Part II where I’ll share The What. I am home from ASBUnplugged 2010 – graciously hosted by the American School of Bombay – February 24-27. As I begin the process of reflecting on the sessions/workshops that I attended – editing and organising my notes for posting, I thought I would share this little video with you. 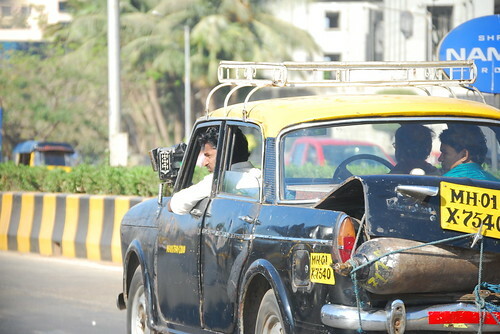 I managed to get out and about for about 2 hours with the wonderful Simon May and the equally fabulous Kim Cofino, to explore Linking Road, Mumbai, India. The traffic catches your attention almost immediately so I thought I’d try to capture a little reminder of what it was like as we explored. This post is written with a mix of sadness and excitement. It is with sadness that I say goodbye to Edublogs but it is with excitement that I announce I’ve finally taken the plunge and bought my own domain name and am hosting my own blog using BlueHost and WordPress. James Farmer and Sue Waters – you are two of the most generous, helpful and amazing people I have ever met in the blogosphere. You both are so generous with your time, your resources and your knowledge. Thanks to you both, I’ve not only been able to blog, but also I’ve been able to improve my blogging skills. And of course to you, my faithfully readers, I extend my thanks. Thanks for dropping by to read my “goings on”. Thanks for all your comments and encouragement. I’m hoping of course (fingers crossed) that you’ll update your RSS reader with the feed from my new blog. Do You Know Where Your (Digital) Footprints Are? Ding Ding … Round Course Two begins for CoETaIL.Asia and it’s all about our digital footprint. Online behaviors and actions impact the access and safety of personal information. Responsible use of online tools can help protect the personal information of others. When and where should we be teaching students about their digital footprint? I was fortunate enough to have our afternoon presenter, Silvia Tolisano, stay with me after her presentation at ISB. We discussed in depth one night the need to own your domain name and those of your children. Thankfully my name and those of my children are unusual enough to still be available domain names. What I have realised I need to do is take charge of my blog name so that I can continue to control what happens with it. I’d not really given any thought to what might happen if someone decided to “kick me off” my name. All my thoughts and ideas would disappear over time as someone began to use my name legally. Whilst I would like to believe that no-one would do that deliberately, I realise that not everyone is as idealistic in web ethics as I am. Google Alerts, RSS feeds of Google Search Terms, Technorati and Edublogs’ incoming links have always kept me informed of how my digital footprint is impacting on others. I believe it is necessary to keep an eye on how and when our names are being used on the internet for a variety of reasons. Clarence Fisher also believes that tracking your digital footprint is an essential part of working online and these are essential basic skills for us and for our students as well. His Digital Footprint blog post is an informative read as he shares how he tracks his digital footprint and the reasons why he does it. I listened to Ewan McIntosh, at an unconference session at Learning2.0 in Shanghai, about how he has already begun to protect and nurture his young daughter’s digital footprint before she is even old enough to walk let alone blog! I remember thinking how that was just a little bit over-the-top. However, as my learning journey continues down the path of 21st Century Digital Literacy, it has become more obvious that looking after your digital footprint is the same as looking after any of your tools in your toolbox. It’s the same as looking after your own reputation. YOU need to do it – no one else is going to. Online safety and digital citizenship in the classroom when working with blogs, wikis and any other tools that leave a footprint of ourselves online is a message that we, as educators, have a responsibility/need to continually push at ANY level. It’s no different to teaching encouraging students to respect themselves, or respect one another in any space they are in. Only this time the space is the internet. This space keeps a record of all behaviour. The good, the bad and the ugly. Plus anybody can look at it. Anytime. Anywhere.